Lock 'n Load is easily one of my favorite game systems and I find it just gets better the more I try out and learn different tactics. Lately, I've been going back and replaying scenarios that I haven't touched for a long time and I've noticed that things were much more fun this time around. I think part of this was due to knowing the rules a bit better but I think another reason is that my tactics have changed and improved a little bit over time. Generally speaking, the decisions have become a lot more interesting and the outcomes are a lot less one sided than they used to be. This is an article about how my tactics in LnL have changed over time and where I'm at now with my game. 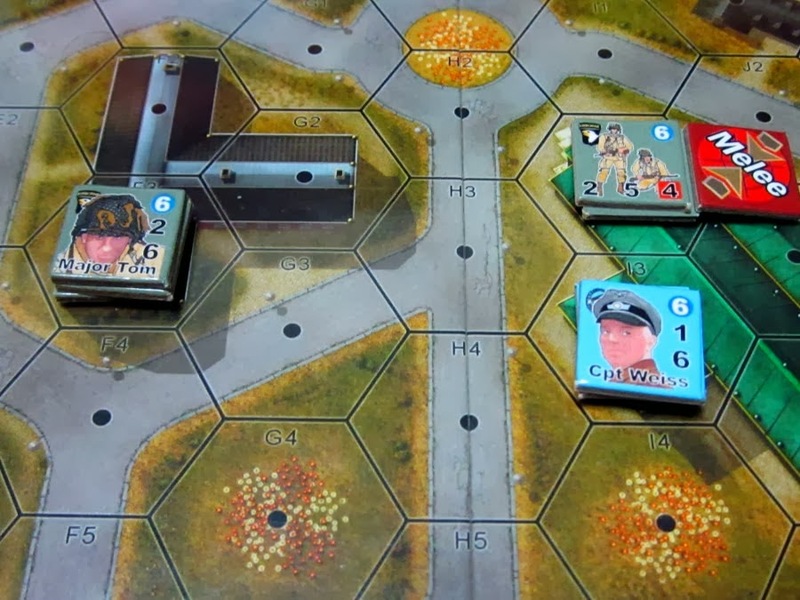 Of course, tactics are going to vary widely based on the type of scenario objectives, terrain, and enemy considerations but I think every player has a few general principals that they try to follow in order to get the win. "Back to Basics" is one of my favorite scenarios from Lock 'n Load Publishing's squad-based tactical combat game "Heroes of the Gap". Set in the beginning days of World War III in a fictional 1985, this scenario consists solely of infantry fighting it out in confined spaces, up close and personal. This, in my opinion, is what the Lock 'n Load system does best and that's what makes Back to Basics so compelling. In this scenario, the Soviets are trying to gain control of as many buildings as possible to the west of the Eisenbach River. The Americans are basically trying to keep their grip and hold the encroaching Soviets at bay. There are two complications. First, the Soviets (like always) significantly outnumber the Americans. Second, the US player is facing not only the regular Soviet army but almost two platoons of Spetsnaz infantry who are armed to the teeth. Another recent purchase of mine is John Butterfield's "D-Day at Omaha Beach", a solitaire offering published by Decision Games. I had heard a lot of good buzz about this game since the first edition was released in 2009. The game was so popular that it was kind of hard to get hold of until the new edition was printed last year. So this thing arrived and it was impressive right off the bat. The box art is wonderful and features a single powerful image that the words "Omaha Beach" conjure forth in most people's minds. I thought this image was much more evocative than the one used for the first edition and the sides of the box have the look of wood grain, which matches the art nicely. So immediately, I had the sense that good things awaited inside of this box and I wasn't wrong. 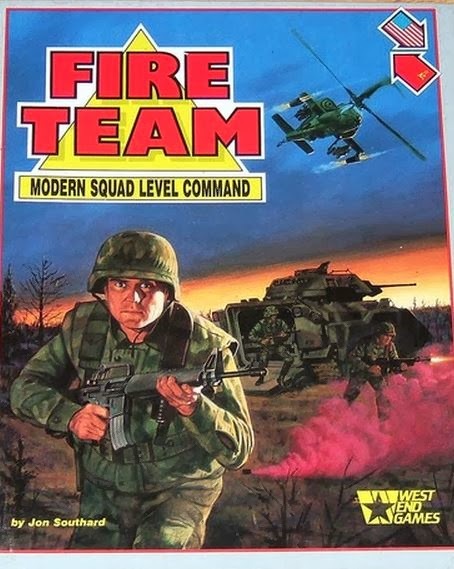 Since I've been on a World War III gaming kick for the past several years, I decided to purchase West End Games' Fire Team, a game of squad tactics published in 1987 by the now defunct company. It was designed by Jon Southard, who created a bunch of great games in the 80's like Carrier and Tokyo Express, to name a couple. This is another one of those 'Cold War Turned Hot" games that fell victim to the sudden end of the Cold War rather than suffering from any real design flaw or lack of imagination (for another example of this, check out AH's Tac Air). In fact, the effort that went into creating Fire Team, a game that tried to simulate modern command and control on the platoon and squad level, was pretty much unrivaled at the time of its release.